Sometimes life has a funny way of turning into a real cliche. You know, when one door closes another one opens…a good beginning makes a good ending…and my personal favourite: throw someone under the bus. What I’m trying to say is that today, I resigned from my job. It wasn’t a great ending, which I’m really sad about because I loved the store and my workmates dearly (except for the incompetent pest that did, in fact, throw me under the bus. I’m not bitter at all). A change in management led to a change in the company ethos that I wasn’t comfortable with. I’ve gone back and forth over this decision for a few weeks but ultimately decided that this was no longer the place for me. I wish I didn’t have to lose the job that was in many ways an extension of myself, but with loss comes a chance to start afresh; an opportunity to explore ideas and dreams that were on the back-burner purely because I spent all of my time either on the shop floor or carrying out the marketing and events for the shop. Who knows, I might be one of ‘those’ private school mums that goes to the gym twice a day. Or is that a phenomenon that is only present in my sons school? These mums are pretty cranky, I’m guessing they’re really hungry. No McFlurry’s for those ladies. Not all losses are bad! I have a loss on the scales! It was 0.5 kilos (around a pound?) which isn’t breaking any kind of records but a loss is a loss is a loss. I’m full of clichés today. I’m ok with these losses. It’s put everything into perspective. Sometimes you’ve just got to stop and smell the roses, ya know? See what I did there ^? Hilarious! How has everyone else’s week been? This entry was posted in Uncategorized and tagged my life on June 20, 2014 by jenelleshines. Did I disappear over the weekend? My immune system certainly did because I was down with some form of illness you can only catch from your children. Don’t you think the germs from the playground always knock you around more than the every day cold you get before you have kids? Anyway, germ rant over. Unfortunately due to said germs, I haven’t run since my last post. I’ll be back into my plan tomorrow and I’m repeating week 3 because I missed the long run last week. I tested the post-illness waters with personal training today. I did 15 minutes on the cross trainer for warm up, and then did a chest workout with D. I was a little queasy but got through it. Don’t ask what exercises I did because I have no idea what they are called. PT’s have this whole über-fit language that I don’t get. If it’s written on the machine I know, but anything else and I’m illiterate. All I know is I couldn’t turn the steering wheel very well on my way home. A job well done then! 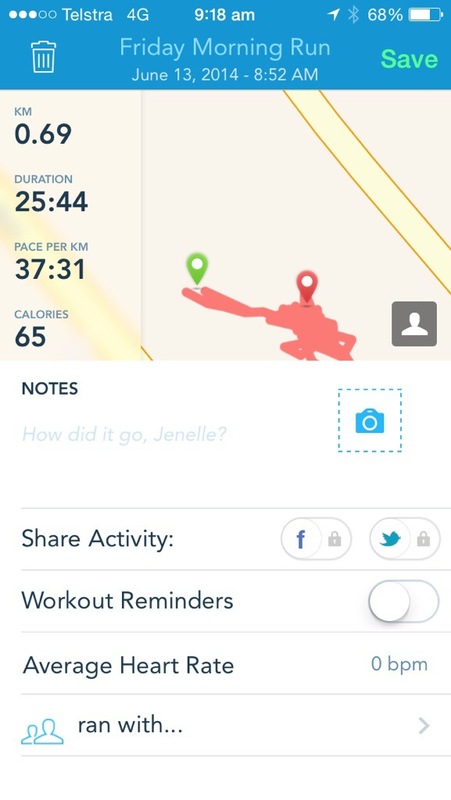 This entry was posted in Uncategorized and tagged gym on June 18, 2014 by jenelleshines. 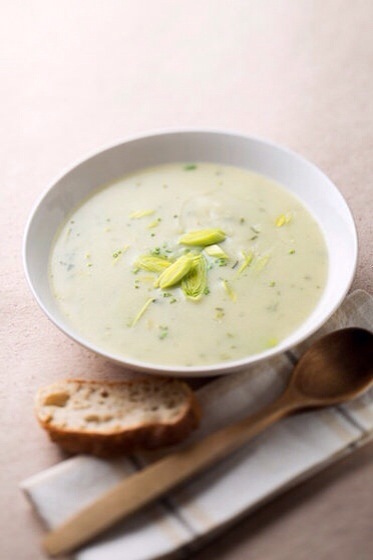 I wanted to share this broccoli, potato and leek soup recipe that I came across on Pinterest. It was So. Good! Hubs and the son loved it too so you have the family seal of approval also. Lots of veggie goodness and it has that hearty, warming consistency that I love in winter time. Oh yeah, after last week the cold weather is back with a vengeance, conveniently at the exact time the heating upstairs died a very loud and squeaky death. Argh! I also wanted to share an interesting and honest blog post I read about body shame. Right, I’m off to watch Australia’s first World Cup game against Chile, nice and early! This entry was posted in Uncategorized and tagged recipe, soup on June 14, 2014 by jenelleshines. 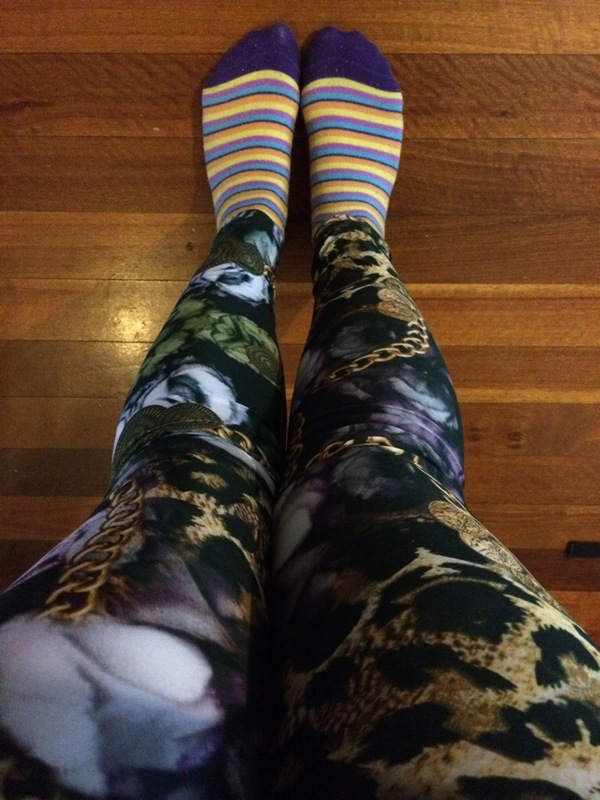 First things first, check out my awesome new running tights: Find them here. Because animal print is a neutral after all. Do you guys in the USA have the label Running Bare? It’s an Aussie favourite. Done with the fashion, let’s talk about running. Specifically, treadmill running. After packing lunches, ironing school uniform and rounding up a teenage mutant ninja turtle costume for the offspring’s school disco this afternoon, I COULD NOT be bothered running in the cold and waiting for a kilometre before I started to warm up because the run would nearly be over by then. So I packed my gear and headed to the gym, buoyed by my recent success attending by myself. Yes, I did shave my armpits. Which is ironic because I wore long sleeves. I’ll get it together one day. I’m not normally a treadmill runner. I prefer the fresh air, sunshine, swallowing bugs and all that jazz. Turns out, the treadmill wasn’t that bad! I had the little 3k on my Hal plan so it went really fast. I’m sure I’d just keel over from boredom if I had to do much more than 5k on it. How you folks that have to use the tready due to snow etc manage it, I do not know! 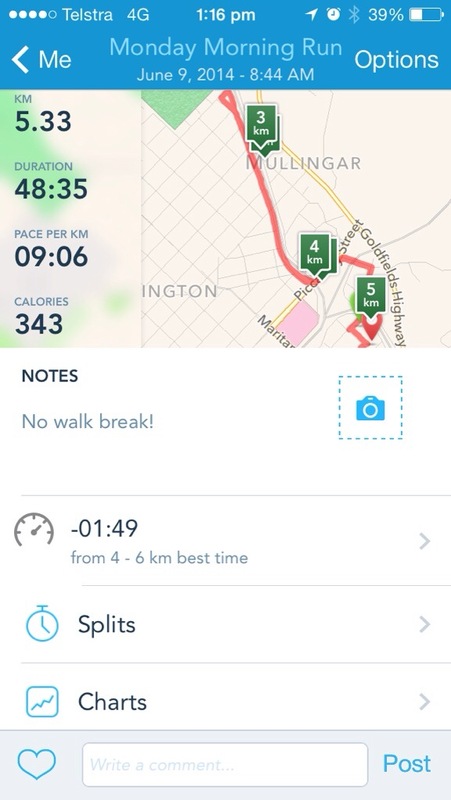 I felt like I was striding better…like a bigger stride? Normal? Imagining it? 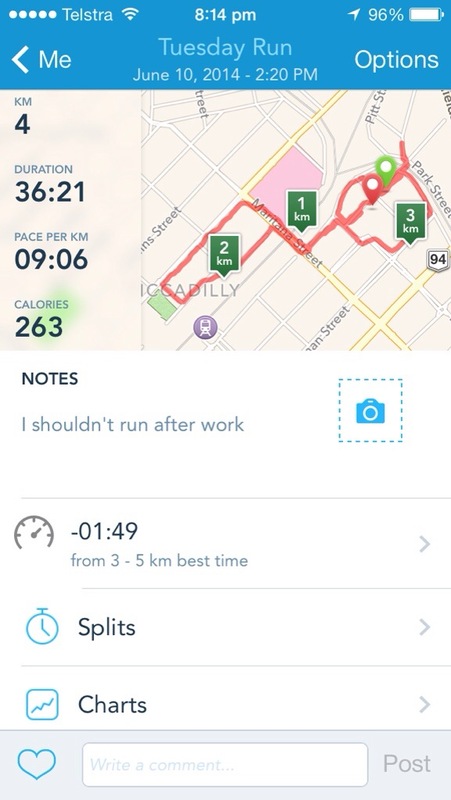 In a further testament to my ongoing ‘where’s your head at’ syndrome, I turned my Runkeeper app on when I started. As I’m sure you all know, it uses GPS to track activity, which isn’t terribly useful when you aren’t running anywhere. 37 minutes a kilometre! It does show the correct time of my run as the tready picture includes a little warm up walk. It’s got legs, back/shoulders and abs. Just covering all bases ok? Feeling good guys! I owe you a weigh-in, promise I’ll do it tonight. This entry was posted in Uncategorized and tagged running, running bare, treadmill on June 13, 2014 by jenelleshines. Today was meant to be PT day (plus 35 minutes cross training according to Hal), but trainer had another engagement so I was on my own. I HATE going to the gym by myself. God, I feel a little ill just thinking about it. Today, however, I asked myself why. Why am I so scared? It’s not so bad right? You’ve been there plenty of times. I’ve figured out that the fear is more of an anxiety. I’m anxious that I’ll look ridiculous. That people will look and think that I shouldn’t be there. That I’ll use the machines incorrectly and look silly. That I’m doing the wrong kinds of workout and…you guessed it: I’ll look stupid. All of the stomach knots and cold sweat is completely self imposed. Crazy! What does it matter if I look silly to someone else? I don’t know them, I certainly wouldn’t value their opinion regarding any other aspect of my life, so why was I allowing what I THINK they are thinking to effect me so much? Especially when I don’t even know if they’re thinking anything about me at all. In fact, I’m sure they are too engrossed in their own (far superior) workout to worry the slightest bit about me. Not too shabby at all. Until I realised I forgot to shave my armpits when I was putting my hoody back on. I would encourage all of the people at the gym to stare and judge me for that. Argh all those weight machine exercises with my arms up! Keeping it classy as always! This entry was posted in Uncategorized and tagged anxiety, gym on June 11, 2014 by jenelleshines. My legs were really heavy, I think due to walking up and down the store that I work in for 5 hours..in heeled boots..while on a self-imposed shopping ban. From the very first step my thighs reminded me of the mafia’s ‘concrete boots’, and I assure you, I was drowning! Ok that is a tad dramatic, but lordy it was hard lifting my feet off the ground. I really do complain a lot, don’t I? I really am enjoying the running, but during the actual run it seems I become the whiny-est gal around. 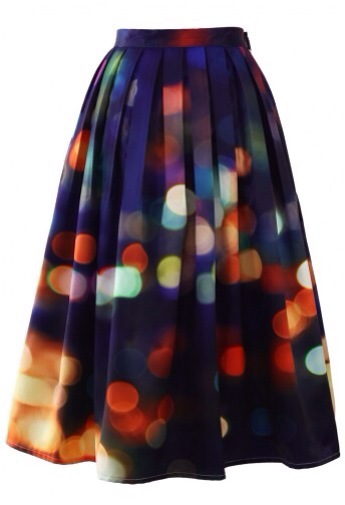 The recent lack of retail therapy is also certain to make you feel sluggish. I should probably buy something. Oh wait, that’s right..I did. Oops! Saw it on Pinterest and before I knew it, the deal was done. In my defence, I’ve been trying REALLY hard with my fitness goals and healthy eating and this reward is much less dangerous than the M&M Mcflurry that my brain is screaming for. Why don’t brains scream for broccoli? Tomorrow is weigh-in day and personal training day, which is also known as self-flagellation day. As long as PT doesn’t make it ‘leg day’, we’re golden. Such impending doom! Really, it’ll be fine. I’ve been doing everything right. This entry was posted in Uncategorized and tagged reward, running, shopping on June 11, 2014 by jenelleshines. Hal told me to run 5.6km, so that’s what I did. Well, almost. It was 5.3km, that’s ok..right? Here’s what I want to know…how fast should I be going? 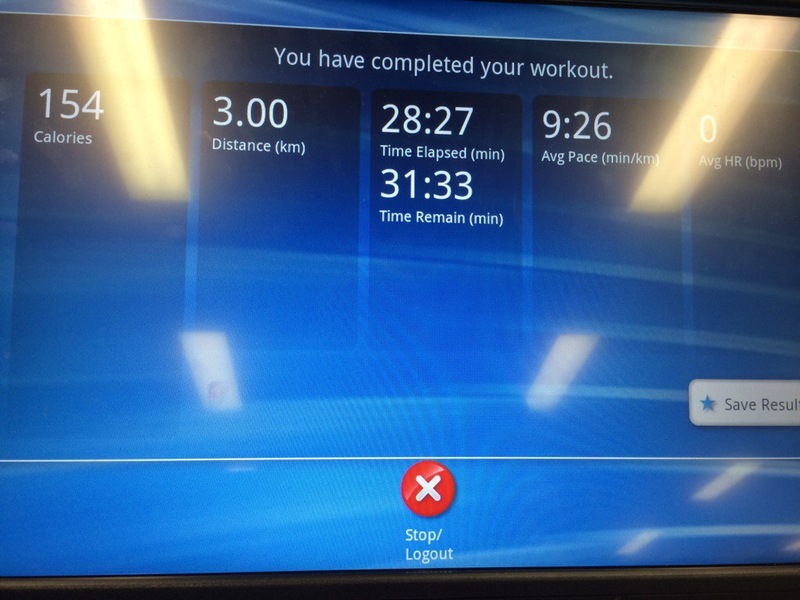 I know that a reasonable 5k time is around 30 minutes. I almost double that time with this run. However, I made it through the run without stopping for a walk break. Am I better off running the whole way without walking; or running faster but stopping to walk every couple of blocks? In my head, I’ve kind of decided that I’m better running the distance at a slower pace. There seems to be some general consensus on this Runners World forum that probably better to run slowly without breaks. It’s even suggested that walk breaks might be a bad habit that is hard to break as you improve your distance and/or pace. The problem with this approach is that the time is a little demoralising at times. I keep thinking ‘good lord, how long is it going to take to run 12km? !’ And how totally embarrassing will it be if I am the last person to finish the 12km race? I need to remember that while this is a race, the only person I’m really racing is myself. This race is my race not to beat everyone else, but to better myself; to achieve the first goal in my running journey. I want to be content in running the distance without walking because that is an achievement for me. While I’m desperately hoping that in the next 10 weeks I get a little bit faster, one thing I do know is that I will definitely finish that race. It might be last, but I will finish! This entry was posted in Uncategorized and tagged hal higdon, run, running, walk breaks on June 10, 2014 by jenelleshines.